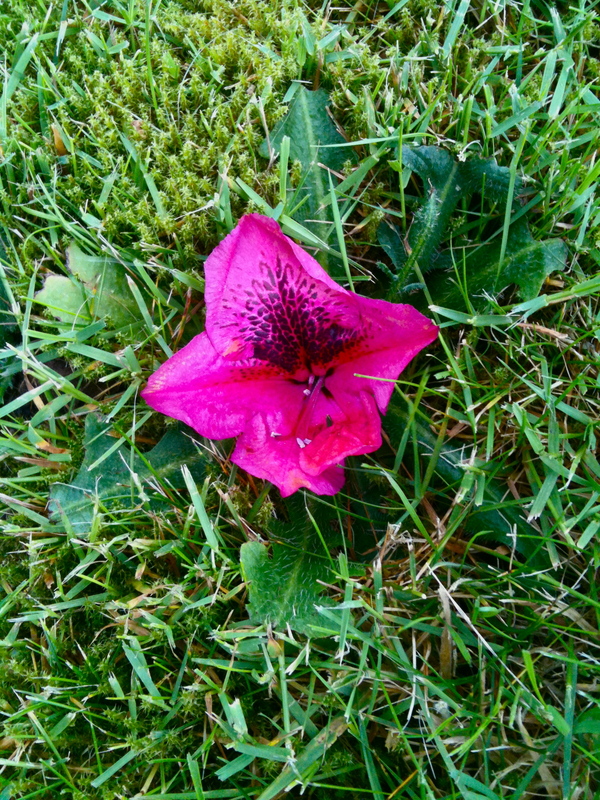 During a struggle in my spirit, I “happened” to look out the window and there in the middle of my front yard was this flower, heads up, and all by itself. It was even sitting right in the middle of a big weed. I thought well…what is God trying to say? He often speaks to me through the things He helps me to notice. I felt like God was saying I am not like that flower, alone, when the weeds of life are choking some of the joy from my life. Instead, God sent that little flower out into my yard to be noticed. To remind me that there is beauty in the lone flower, even amongst the weed. He will make beauty come from this struggle if I am willing to notice. In the middle of a big yard this flower has a lesson to teach.